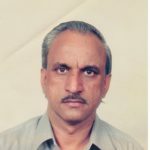 Takshila Learning Provide Best Cost Accounting and Financial Management video lectures (CA IPCC Group I-Paper-3) in Offline mode (Downloadable Link, Pendrive, and SD Card) by CMA Chander Dureja for Nov 2018/May 2019 Attempt. The Student can solve their doubts through Whatsapp, on call, and on mail. 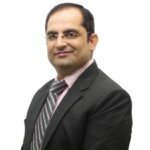 These Lectures for CA IPCC as per Old Syllabus of ICAI with use of PPTs and Live Examples from industries.Our Classes are a focus on Conceptual Clarity and more Practice as it is a Practical Subjects so for Students we created Test Series for Practice for Exam and let the student score excellent marks. The course is divided into 80 Lectures( Duration of these videos is 140 hours) Our classes are based on anytime, anywhere, on any device. He has taught thousands of students over the years and many toppers among them too. He is very popular among students because he is known to be a very vibrant and fun person in the classrooms.He received his CMA certificate in June 2006.He has been involved in the teaching field for the last 11 years. 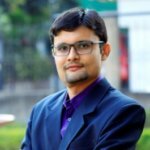 He has worked with the Institute of Cost Accountants of India for 3 years and was awarded the best faculty in 2013.His interest lies in learning more about the stock and derivative market, of which he is already quite knowledgeable.